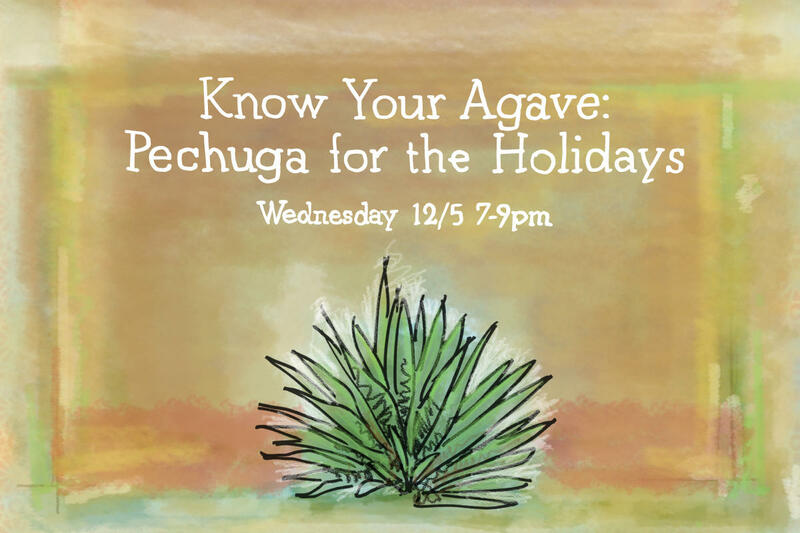 On Wednesday, December 5th, get your holiday buzz going at our next Know Your Agave class dedicated to our favorite seasonal spirit – pechuga. Snack on off-the-menu botanas + sample pechugas from around Mexico while learning the history of this celebratory mezcal that’s traditionally distilled with local vegetables, herbs and a chicken breast. It’s like a Christmas spread in your cup, y’all.